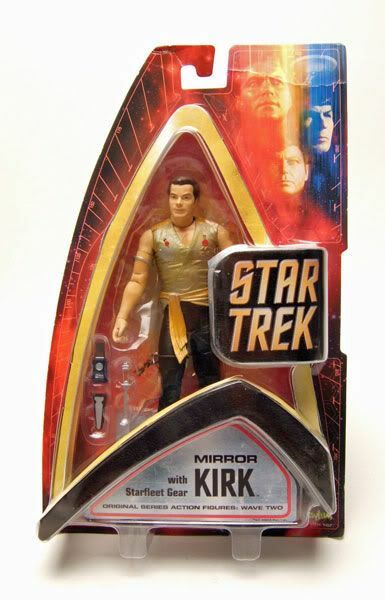 Mirror Kirk was released as part of the second wave of Art Asylum's Classic Star Trek figures. 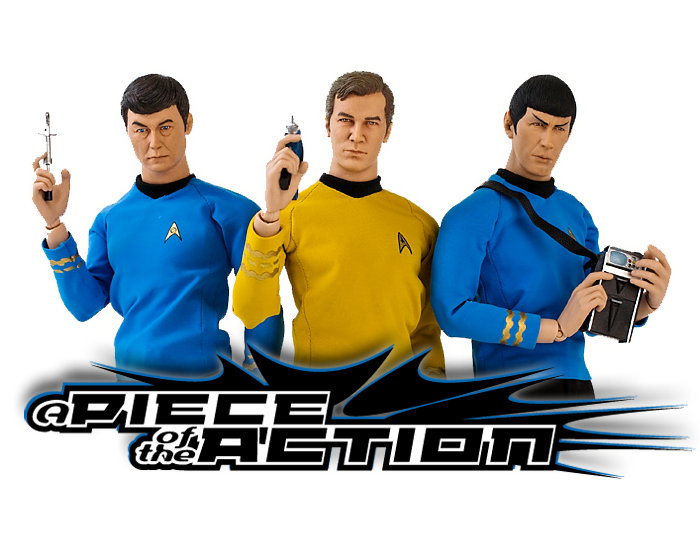 The Rundown: Art Asylum came up with a good way of getting main characters Kirk and Spock into the second wave of Classic Trek figures without just retreading their first offerings: Mirror versions! 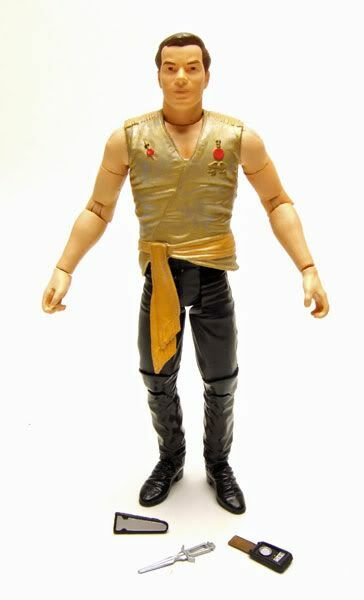 If you're a follower of my blog, you know of my love for "Mirror, Mirror", so saying I was excited for these figures would be an understatemnet. 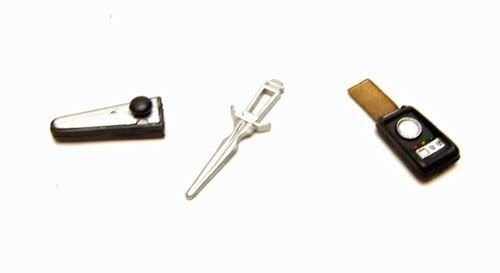 Mirror Kirk here reuses some parts from wave 1's Kirk...including the head. 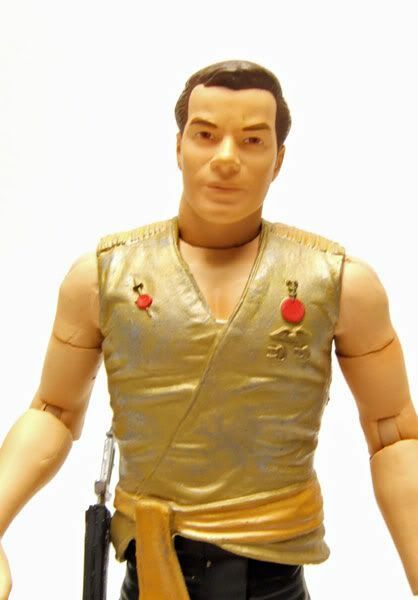 It's not the best Shatner headsculpt, but it's still pretty good. The body features the standard articulation of AA's Classic Trek offerings. You can get some really great poses out of these guys without their bodies looking like robots. The only point that can look a little funky in poses is the bicep joint, since there's really not a good way of hiding it on bare arms. Still, I'm glad it's there. 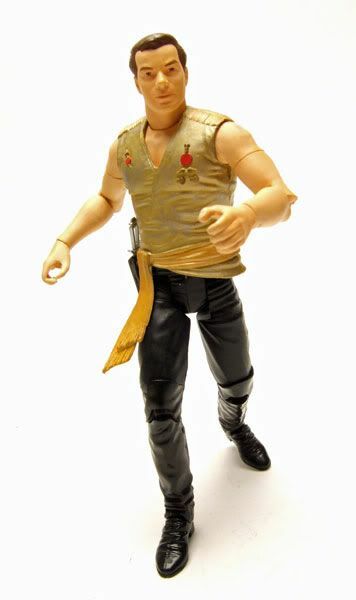 Kirk has the rubber shirt that was used on most of AA's stuff. I'm worried about the lifespan of the material used, but it looks really good right now! In fact, it probably looks the best on Mirror Kirk and Spock. It seems a bit thicker, and it's actually painted over, which helps rid it of allot of it's rubbery look. 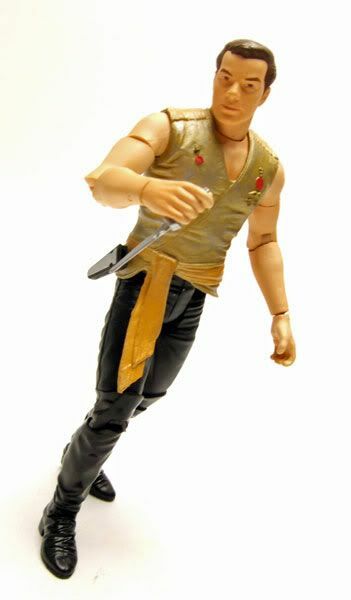 Accessories: Mirror Kirk is a little light on accessories, he comes with a communicator, the insanely awesome Mirror dagger, and a sheath that plugs into a hole on his sash. 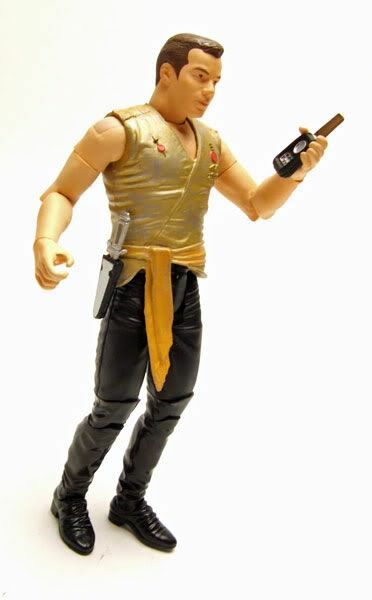 It would have been nice to have a phaser or some alternate hands (like the ones with Mirror Spock).